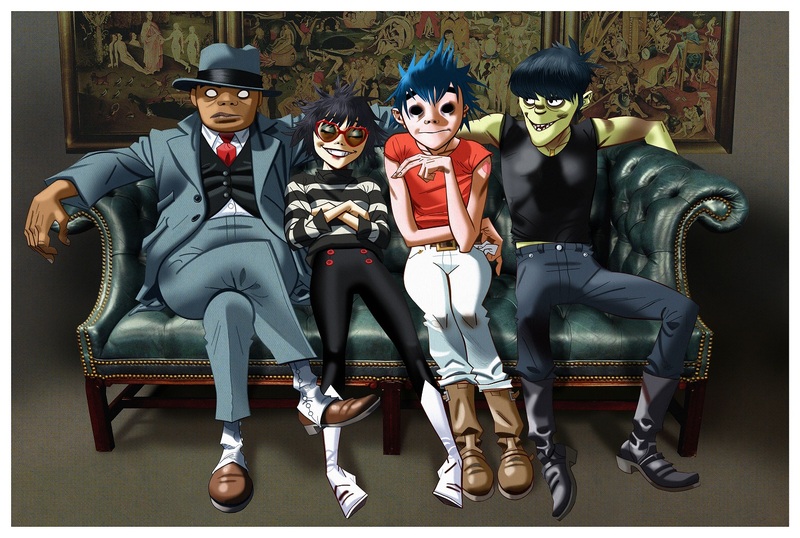 New Gorillaz is go; the British cartoon band confirming the release of their fifth album. And it’ll be here quicker than you think. It’s due before the end of next month. Led by Damon Albarn and Jamie Hewlett (albeit in virtual form), the band burst onto the scene in 2001 with their self-titled debut. Success was instant, thanks to their breakout single ‘Clint Eastwood’ and more followed thanks to songs like ‘Feel Good Inc.’, ‘Dirty Harry’ and ‘Dare’. But six long years after their last long player, the band is back and we should prepare ourselves for the launch of ‘Humanz’. Now available for pre-order, the album features a host of top name collaborators; De La Soul, DRAM, Rag ‘N’ Bone Man, Vince Staples, Pusha T, Kelela and Grace Jones among them. Australian actor Ben Mendelsohn narrates a series of album interludes. Check out their mesmerising 360º video that launches the new project HERE. 14 track standard and 19 track deluxe editions are both incoming, along with a super limited edition vinyl box set, which includes alternative versions of each of the standard issue’s 14 tracks. ‘Humanz’ will land at retailers everywhere on Friday April 28.